The cosmos has captivated the imagination of civilisations throughout the ages. The desire to understand or interpret what they see in the sky are often reflected in architecture, petroglyphs, urban planning and other cultural representations. These "material testimonies" of astronomical observations, found in all geographical regions, span all periods from prehistory to today. 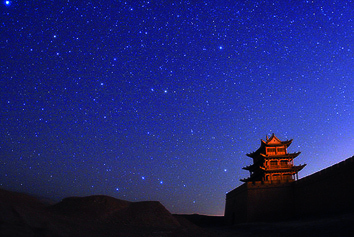 UNESCO and the IAU are working together to promote research and education collaboration as part of UNESCO's Thematic Initiative "Astronomy and World Heritage". 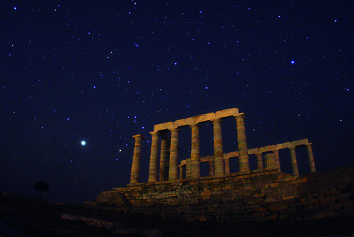 This project offers a possibility to evaluate and recognise the importance of astronomical heritage in terms of enrichment of the history of humanity, the promotion of cultural diversity and the development of international exchange. Support from the international community is needed to save the properties connected with astronomy from progressive deterioration and to recognise the astronomical heritage by the inclusion of the most representative of these properties on the World Heritage List.